These images were originally intended for transmission to the London International Exhibition of 1862. But Waterhouse was so taken by his photographic expedition that by the end of his career, he had built up the Survey of India’s photographic section into an important department whose work encompassed a wide variety of subjects. 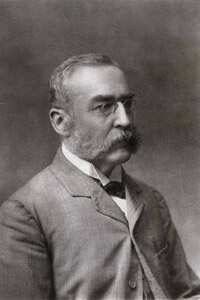 During this period, Waterhouse was also deputed to photograph rulers, tribes, communities and archaeological subjects in the Central Provinces of India. 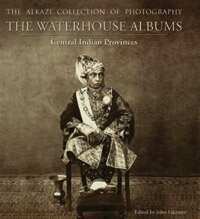 Waterhouse photographed not only the ruling families of Bhopal and Indore in their magnificent robes and turbans, but also the merchants, administrators and clerks who worked for them. Marathas and Rajputs, bards, tribal and rural groups, all made their way into his vast photographic repertoire. Waterhouse’s photographs of the royal women are particularly significant, since they offer an opportunity to study female court attire of the period. The images provide visual details of the flamboyant farshi pyjamas and the extravagantly embellished crowns of the begums of Bhopal. Since the women observed purdah, many of the photographs were taken with Waterhouse standing behind a curtain in order to adhere to rules of propriety applicable for women in royal households. An exhibition of photographs based on the book, The Waterhouse Albums: Central India Provinces, is on at Shridharani Gallery, Triveni Kala Sangam, New Delhi, till 6 January.